Who doesn’t love summertime and days spent at the beach with the kids? Part of each day spent at the beach my charges scan the shore for sea shell treasures. 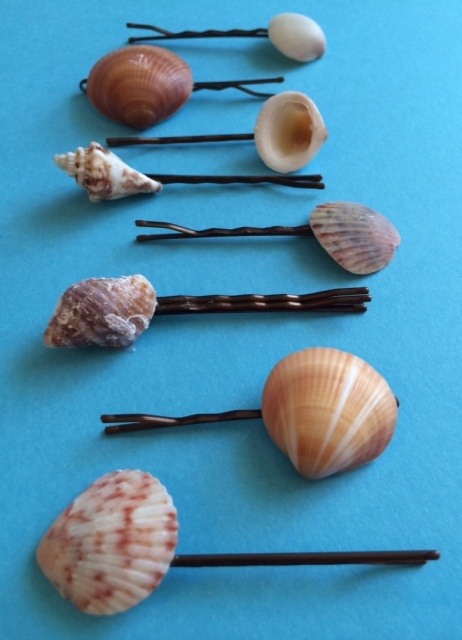 These nautical hair pins are easy and inexpensive to make but don’t let little kids use the glue. Let your favorite mermaids pick out their favorite shells for an adult to glue to the bobby pins for them. 1. Clean and dry the sea shells. Protect the work surface and wear rubber gloves. 2. 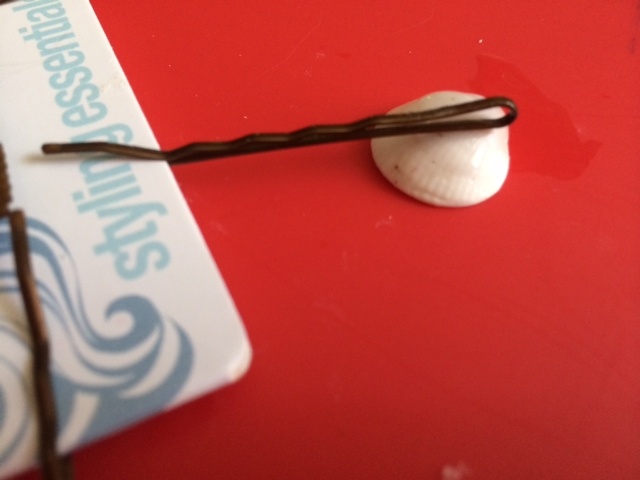 Figure out how you want to balance the shell to the bobby pin before adding the glue. I used the cardboard the hair pins came on to help balance the pins (see photo on right). 3. Carefully add a few drops of glue to the shell and hair pin. Do not let the kids near the glue or their fingers can get glued together. 4. Allow to dry completely. Let the mermaids wear their nautical creations. These are super cute. I have to try this project.